On Sunday 28th August, Aston Shaw’s very own duck will take to the water to participate in the Norwich Corporate Duck Race! 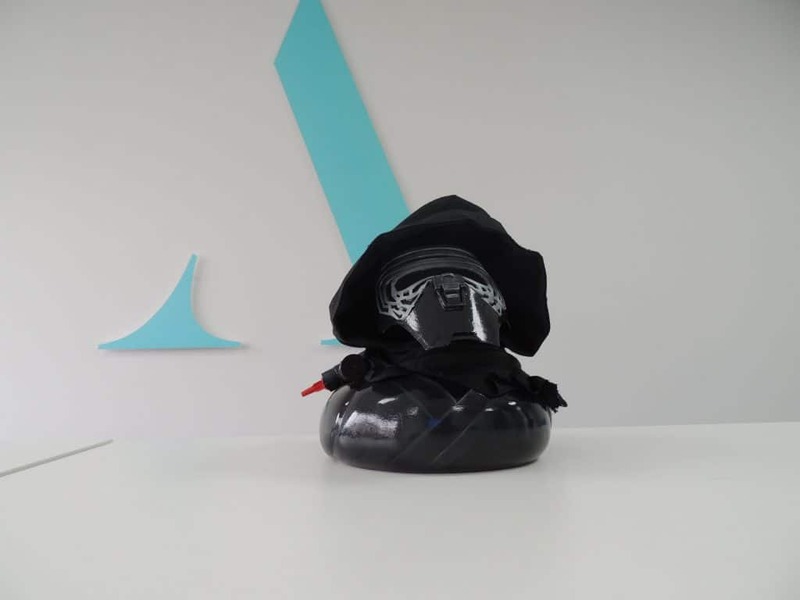 Our duck – decorated as Kylo Ren from the latest Star Wars movie has been named ‘Join The DuckSide’. For those are unaware of the Grand Norwich Duck Race and are starting to think we have lost the plot; the race is all in aid of ‘Break’, a charity committed to changing young lives. It really is a fantastic cause and we urge you to learn more about Break by visiting their website. Businesses in Norwich can buy a duck from the charity and decorate it how they wish. After the race, the ducks will be auctioned off to raise funds for Break. The race will be from St George’s Bridge to St Fye’s Bridge, outside the Ribs of Beef Public House. The day starts at 12midday, with a duck parade on St George’s Bridge at 1pm to 2pm. At 2pm, the Individual Duck Race will begin (a race with 3,000 feathered participants!). At 2:30PM, The Corporate Duck Race will start (the race our very own ‘Join the Duckside’ will be in). We’re excited for the big day and we hope that the event will go swimmingly. You can follow us on Twitter (@AstonShaw) for updates and pictures of ‘Join the DuckSide’.